Chi Dog co-founder, Veterinarian and Certified Food Therapist! Hi. 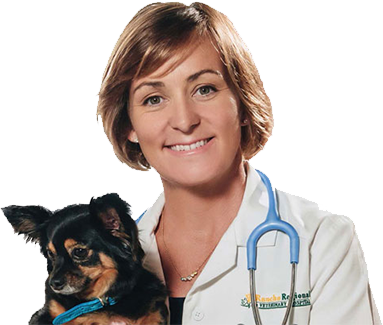 My name is Dr. Susan Bohrer, a certified veterinary food therapist and co-founder of Chi Dog, the first balanced, whole food TCVM based meal delivery service for dogs. Thank you for your interest in whole food canine nutrition. We know how much it matters what we eat, so let’s use the power of Integrative Food Therapy to get dogs off processed food and onto Eastern Medicine based REAL food! Help reduce your dog’s risk of obesity, chronic inflammatory disorders, endocrine diseases and cancer. Proper diet is the first line of defensive in preventing disease and in many cases, curing existing conditions as well. You’ll be amazed and what a real whole food diet can do for your pet. I am now offering YOU a FREE 30-minute personal consultation to discuss what diet options may be best for your dog’s health, addressing any conditions he or she may be currently experiencing. Let’s help change the way dogs eat one at a time! Simply fill out the form below to get started.